We are engaged in supplying a wide range of Earth Moving Equipment, which is manufactured as per the market demand by Shanghai Mitsubishi Elevators Co. Ltd. 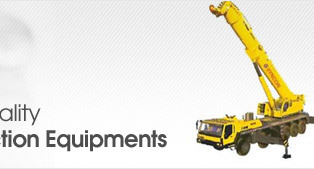 These construction equipment are highly demanded in the market for their excellent performance, reliability and sturdy construction. The range of our products includes Wheel Loader, Hydraulic Excavator, Crawler Dozer, Backhoe Loader, Motor Grader, Pneumatic Tyre Roller (PTR), Vibratory/Soil Compactor and Road Machinery (Paver). 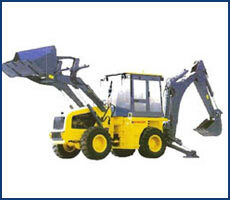 Our company specialises in supplying quality range of Wheel Loaders to the customers. 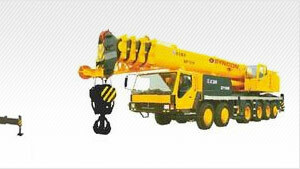 These products are available in the capacity of 3 to 8 tons to meet the varied requirements of the clients. Moreover, the bucket capacity of these products ranges from 1.5 to 4.5 cu m and the operating weight is 11,000 to 28,000 kgs. Our product range with engine power of 123 to 305 HP has longer functional life. 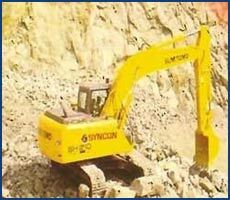 The range of Hydraulic Excavators, available in operating weight of 13 to 80 tons, is widely used by the customers for its excellent quality and efficient functioning. These products are fabricated by a team of proficient professionals with utmost precision at our associates' end. With bucket capacity ranging from 0.3to 6.7 cu m, these products have engines with 95 to 532 HP of power. Drilling holes in the earth. 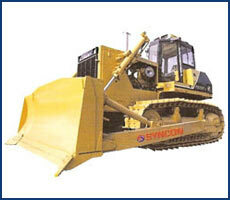 We have emerged as a prominent organisation engaged in offering Crawler Dozers to the customers. Available in the capacity of 140 to 410 HP, these products are precisely engineered to meet the exact demands of the customers. 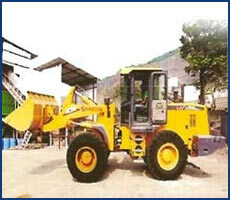 Moreover, these Dozers can be interchanged with parts of Komatsu. With our expertise, we have been able to offer a wide range of quality Backhoe Loaders that are highly demanded for its sturdy construction. Available in various specifications, these are widely used for various applications like construction, light transportation, digging holes, loading trucks, and others. 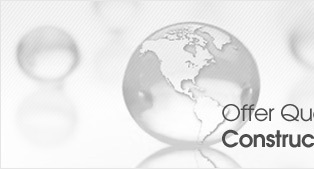 We make sure to deliver the range of our products at the clients' end within the postulated time frame.